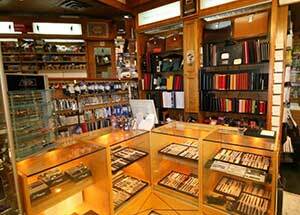 Here is a great pen store in Calgary owned by the Reid family. Stop by and ask for Lauchlan Reid. The store has a significant pen section. He provides top notch service and has a depth of knowledge of pens. Trish is also very knowledgeable. Kari has also worked there for over 15 years so there is a lot of pen knowledge. I visit Reid's when I have the opportunity to visit Calgary and I reguarly hear very good things about the store from others. Going to Calgary? 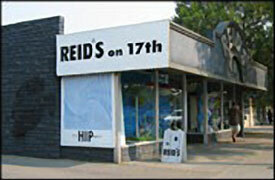 Don't miss a trip to Reid's stationery. The store is open from 9:30 am to 6:00 pm Monday to Friday and 10:00 am to 5:30 pm on Saturdays. Major pen lines are available such as Lamy, Pelikan, Montblanc, Waterman, Parker, Cross, Rotring, Elysee, Scheaffer, S.T. Dupont, Caran D'Ache and Omas. In addition to pens they carry a good stock of quality papers, notebooks, diaries, pencils and inks. All the stuff that pen people need and care about. (Thanks - R. Bilton, B. Cervi, D Duval). Balpdeep and Mano Duggal opened Phidon Pens in September 2008. They are knowledgeable and in talking with them, they show their love of fine pens. There is a good selection of pens by Sailor, Conway Stewart, Visconti, Marlen, Pelikan, Lamy, Bexley, Faber-Castell, Carand'Ache - to name just some of the lines. Mano notes that they carry some lines that are difficult to find elsewhere in Canada. The store is "upscale" and desribed as impressive. They will help you with the selection of a pen that is right for you, and in choosing the right ink -- always part of the pen experience. They carry Noodlers, Diamine, Private Reserve, Waterman and Sailor writing inks. 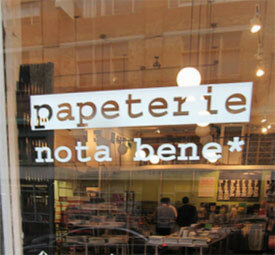 When you add that they have a selection of stationery and leather products - well, this great pen store. Thanks to - R Hutchinson and G. Krueger who have recently written me about this store. I have to get a trip to Eastern Canada so that I can visit Phidon Pens! After previously having lived in Edmonton for a number of years, I was pleased to be able to visit Stylus on a 2012 vist back to Edmonton. 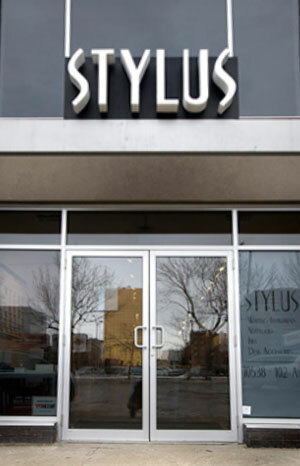 Edmonton is fortunately to have a great store such as Stylus, and for their loyal clients, the feeling is mutual. The store, located on 102nd Avenue, is downtown, a block over from the Boardwalk Market. So if you are walking, it is a few blocks down from the major City Centre retail complex. If you drive, here is a treat, there is parking in front of the store. On my 2012 visit I had the pleasure of meeting Store Manager Grace Emmanuel. She has been with been Stylus since the store started, some six years ago. As we talked about pens and the pen retail business her passion to quality writing instruments became clear. Quality mean well designed and manufactured pens as opposed to high price points. The Stylus store has a smart clean look. Along the walls are cases of of the some 20 lines of pens they stock that include major lines such as Sailor, Pelican, Lamy, Kawecko, Cross, Waterman, OMAS, Montegrappa - to name just a few. There is also an impressive series of shelves where they stock what I would say is one of the best selection of inks you will find in any pen store. Lines such as Waterman, Pelikan, J. Herbin, Noodler', Private Reserve, Diamine, and some lines like De Atramentis, Rohrer & Klingner and Bethge which are not commonly found in other stores. I spent some time make a decision to pick up a couple of good dark blue tone inks. They have colour charts to help with the process. 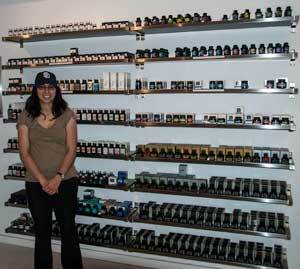 Store Manager Grace Emmanuel in front of the impressive ink selection at Stylus Pen in Edmonton. The centre section of the store has floor cases with pens as well as counters with a good selection of note books and journals. Always need good paper for writing! While I was visiting the store there were a couple of customers in the store. I had the chance to overhear the questions Grace would ask to help a customer find an appropriate pen, ink or writing paper. I had the chance to talk with one of the customers while I was there. Victor Chou, an teacher, has make Stylus his pen store for a numer of years. When I asked him what he valued the most with the store, he was quick to respond: the high level of service the store provides. Good product knowledge and a staff that care. That sounds like just what we all want in a great pen store. As Grace and I talked, I became aware of some of the ways that Stylus goes the extra mile to look after its customers. For example, it is not that well known that some of the pen manufacturers no longer automatically supply a convertor with a fountain pen that has the converter option. Shame on them! As a customer the purchase of a fountain pen, with a converter option, carries the assumption the converter will be in the box. To meet customer expectations, Stylus orders the converters and ensures they are available as part of the total product offering. That is just one of the marks of good service. So when next in Edmonton, here is a pen store you should not miss. Duly Note is a stationery shop that also carries pen, and if you are in Halifax, then this is one of the stores you may want to drop see for pens and ink. 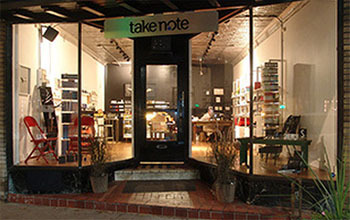 The company`s website (dulynoted.ca) basically talks about the stationery side of the business - with Moleskin Journals and a reference to Waterman, Parker and Lamy pens mentioned. They also operate a website that relates more to pens (quilljoy.com) where there is a larger assortment of pens. This Montreal store has been selling pens since 1945. The address above is their location they moved to a few years ago. Around the corner from their old location. They carry pens and watches with pens becoming a greater and greater focus of attention. 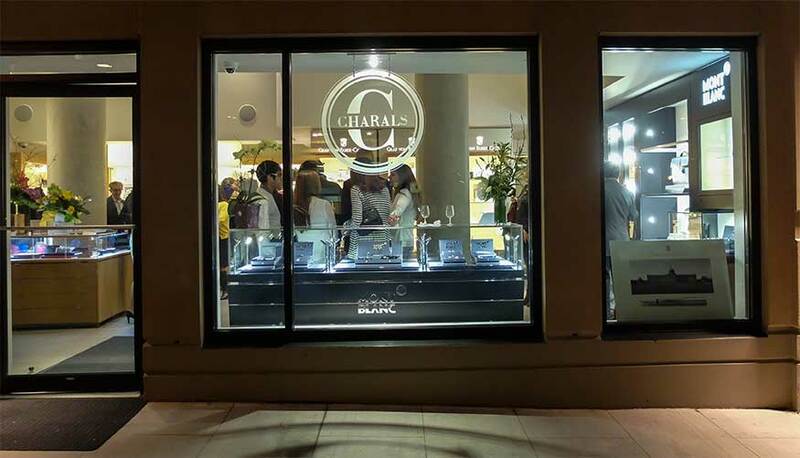 Recent changes include the addition of a Montblanc Shop-inShop. You will find the Montblanc, Sheaffer and Montegrappa lines in addition to some other lines. Montreal is an exciting city. Any trip should include a visit to Vieux-Montrèal, the old section of Montreal. It is in Old-Montreal that you will find the impressive Basilique Notre-Dame and also just down the street from the Basilique, a great pen store - Papeterie Casse-Noisette. When I visited the store in June 1999 I was greeted by enthusiastic staff (Zoë and Anne Catherine) and shown a wide range of pens, inks and papers. 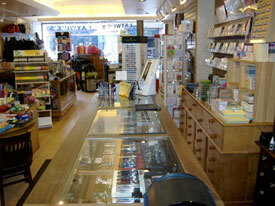 They staff demonstrate a great interest in pens, inks and papers and show the store's stock with pride. If you don't see what you are looking for, be sure to ask, as there are plenty of items to be brought out for you, just waiting your request. Owner Pierrette Julien has traveled extensively and brought in a wonderful selection of papers from countries that include Italy and Germany. Like the pens the store carries, Madame Julien only buys what she has seen and establishes as being of quality. The store will also arrange pen repairs, and order items on a no-obligation basis. Casse-Noisette is open Monday to Thursday from 10-6 and Saturday to Sunday from 10-4:30pm. Don't miss it. 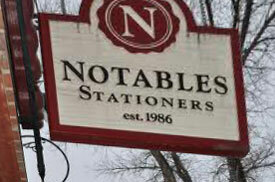 A number of locations of this long standing Canadian pen retailer. Metro Stop: McGill or Peel on the Green Line. 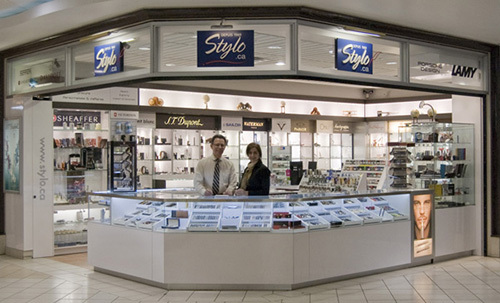 La Boutique de Stylo specializes in fountain pens, ballpoint pens and pencils, and also offers engraving and repair services. Brand names are available, including S.T. Dupont, Waterman, Parker, Cross, Lamy, Visconti, Sheaffer, Pelikan. Tel : (514) 284-1295. Russell Hemsworth is the propietro. His store is located on avenue du Parc at street level. The store is open Monday to Saturday from 11 to 7 on week nights and until 5:00 pm on Saturdays. I hear good things about the store. There is a friendly atmosphere and an excellent selection of paper products. I just have to get out to Montreal again! 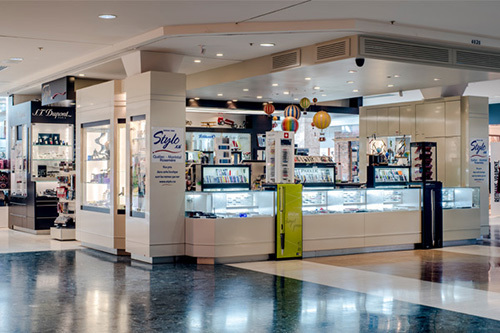 This is the location of the stylo.ca's Québec City store. Information on hours and a map of the location of the store is at the following link. The store has a good variety of pens. Their recent new location is larger than the former store. Comments from a number of individuals confirm a good level of service and an encouragement to trying pens to make sure its right for you. For example, Claudio writes: "Laywines, Toronto, is staffed with classy people! I returned a faulty, three month old Rotring convertor and they provided me with a new one - at no cost! Now that's customer service!". Don Duval notes that "Peter seems to foster a positive attitude and a camaraderie among the people who work there that shows up in their service." They also have a extensive variety of domestic and foreign diary/organizers and refills. If you see Joy you will be getting service from someone who as been there for quite a while and really knows her stuff. A number of years ago I met proprietor Wayne Kingsland. 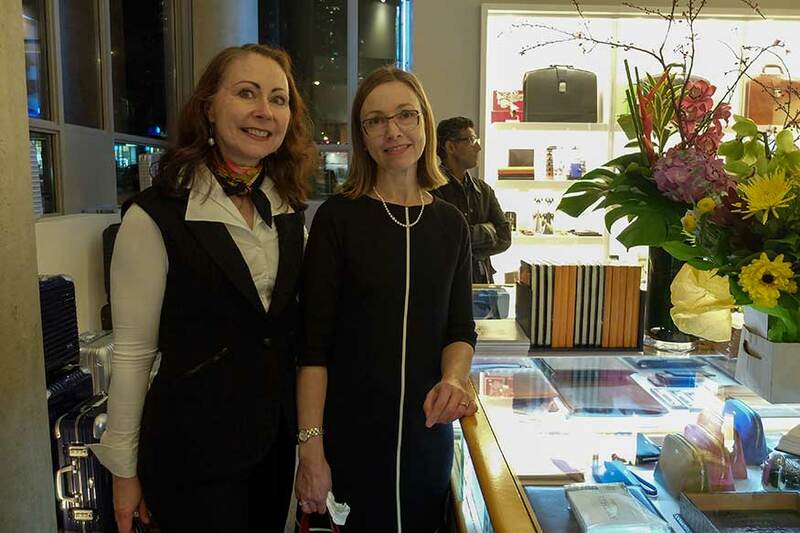 He talked with enthusiasm about the wide range of Montlbanc pens carried in the Montblanc Boutique located in the upscale shopping area of Bloor Street West in Toronto. As of the time, this was Canada's only free-standing Montblanc Boutique store. 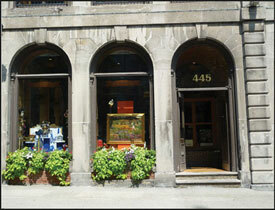 Wayne, previously a Vice-President with Montblanc, opened up the Toronto Montlbanc Boutique around the end of 1997. He acknowledges the importance of top level service in making a pen store great. And they treat their stock with care! It is with white gloves and care that he and his other staff showed some of the various lines that he carries. The store is very smart looking. Besides just about every Montblanc pen you can imagine, the store carries all the Montblanc accessories such as writing accessories and jewelry items. I understand that Wayne has left the Boutique Store in Montreal. Located in the Exchange Tower in downtown Toronto. 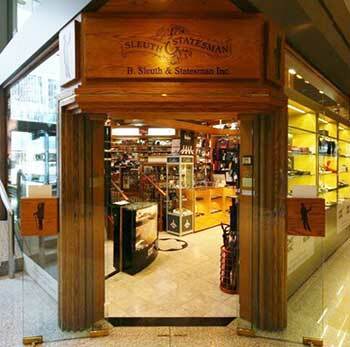 I will have to get to Toronto and visit B. Sleuth & Statesman as I hear it is a great store. They sell Cuban cigars, pipes and men's grooming supplies (razors, shaving supplies, leather goods, etc.) but also stock a good selection of pens and accessories. The pen lines include Montblanc, S.T. Dupont, Lamy, Faber Castell, Pelikan, Caran d'Ache, Parker, Cross, Waterman and Visconti. On the ink side you will find Private Reserve and Herbin inks. As well, journals by Mignon, Clairefontaine and Graphic Image. Add to this a selection of leather pen cases and chests. Owners Murtaza Amarshi and Akil Rahemtullab are passionate about customers buying the right pen and using it properly too. Murtaza loves special nibs, and favors oblique broad, so he carries a nice range of nibs for Pelikan, Parker, Waterman and S.T. Dupont fountain pens. They also operate the Handwritings store in First Canadian Place. I like the fact that they encourage customers to 'dip and try before they buy'. One day I will get back to visit Toronto, right now I seem to be always in flight over it on trips to Italy or France! 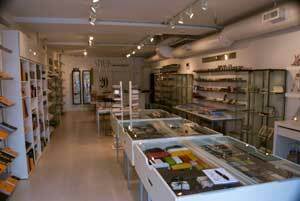 But here is a modern pen and stationary shop on Dundas Street in Toronto. They have Lamy, Sheaffer, Faber-Castell, Pelikan and Platinum lines as well as Noodler's inks along with various lines of papers. The store is closed on Mondays, but hours listed are for Tuesday to Saturday 11 - 6. While I have not had the opportunity to visit this store, I am told that they provide great service. The web site lists the pens they sell, a lot of very reasonably priced pens that include lines like Kaweco, Lamy, Edison and Sailor. Vancouver Pen, originally started by Margaret and Paul Leveque, and now operated by Margot McRae, has a long tradition in Vancouver. It is located in downtown Vancouver, along West Hastings opposit the Harbour Centre. 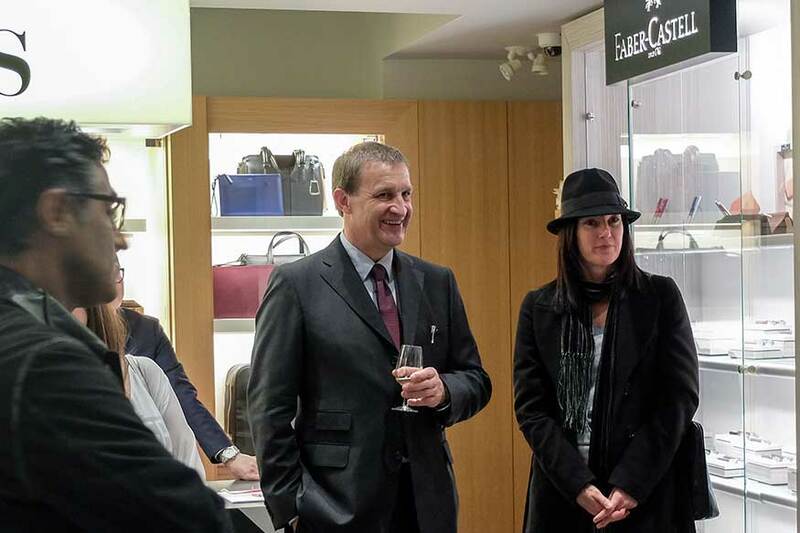 Rolf Schifferens, (centre) Managing Director for Graf von Faber-Castel attends the opening of the first Graf von Faber-Castel boutique on the west coast. On right: Karin Seidl, Area Manager for North & Latin America, attends the opening. 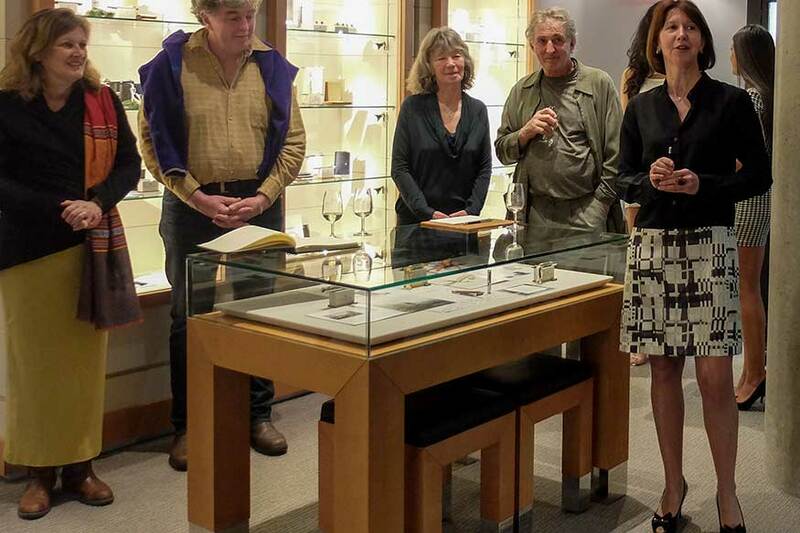 She encouraged people to view their lines... they had brough in special editions of the newest Pen of the Year. Attention to the special versions of the Pen of the Year. Laurie and Barbara Darrah of RefineMark Print Design - beautiful high quality cards - also attended the opening. 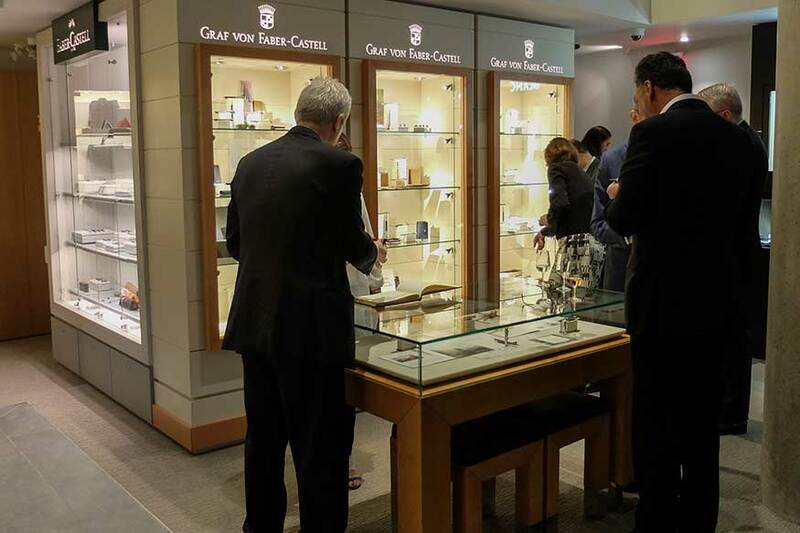 I had the pleasure of attending the opening of the new Graf von Faber-Castell Boutique in Charals' new store on Robson Street. This is one of four Boutiques Graf von Faber-Castell will open in Canada. They are proud for this to be the first on the West Coast. The new store has an elegant yet comfortable feel to it. The high ceiling create a roomy atmosphere. The walls have beautiful cases with Graf von Faber-Castell pens as well as Montblanc, Waterman, Visconti, Dupont and Parker. In addition there are leather desk accessories. For those who have shopped at Charal's store in the Sinclair Centre on West Hastings, you know Al carries high quality lines and offers excellent service. From the Pen of the Year, to the Perfecft Pencil. The stores carries a full line of the high quality and extremely well designed Graf von Faber-Castell writing instruments. Do drop by and say hello to Al. 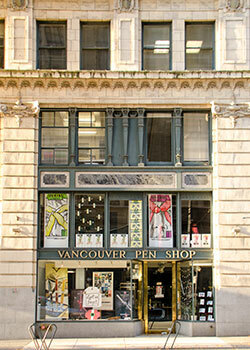 Another Great Pen Store for Vancouver! The Cambie Street closed when a new development took over the block where the store stood. Richard moved his pen store to the North Vancouver location noted. above. 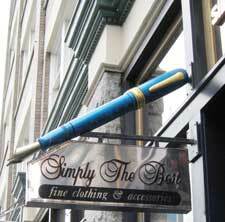 When in Victoria, the pen shop to visit is Simply the Best. Although not a dedicated pen store, Jim keeps a well stocked pen counter. Omas, Lamy, Visconti, Aurora are some of the brands that he carries, but others also. He carries both regular and limited editions. If you are looking for a limited edition, there is a good change he will have it. He has a keen passion and knowledge of pens and enjoys talking to you about pens, nibs and ink. His store now stocks a pretty good selection of Private Reserve Inks as well, the last time I was in his store there was a selection of Visconti ink. The store is also a repair depot for all makes of pens. Just one more reason to visit Victoria.